Luxury Travel Blog: Is Tourism in Kashmir Reviving? Is Tourism in Kashmir Reviving? After a long lull, tourism in Kashmir is making a grand comeback. There was a time when Kashmir Tourism was the most sought after thing in India. Referred to as the “Paradise on Earth”, Kashmir not only drew tourists from all corners of the world but was a favorite hotspot for shooting of Bollywood cinema. Shammi Kapoor singing “Ye chand sa roushan chehhra; julfon ka rang sunehra” (A face glowing like the moon/ and hair as soft as silk) on a shikara in Dal Lake to woo his lady in the movie Kashmir ki Kali is etched in the consciousness on India masses. Kashmir’s innate charm lies in its soaring mountains, British-inspired colonial houseboats, majestic Mughal Gardens, lush valleys and charming people. Kashmir Tourism flourished until the terrorism arrived in the valley in the 1980s. The tourism almost stopped due to violence and unrest but with the turn of the century, things are looking to be brightening up for Kashmir Valley. It is said then Mughal Emperor Jehangir was so mesmerized by the pristine beauty of Kashmir, that he said “Agar Firdaus bar ru-e-zamin ast, Hami ast o- hami ast o- hami ast” (If there is heaven on earth, it is here, it is here it is here). Kashmir was used as the summer capital of Mughals and later by British. During Mughal Empire several Mughal gardens, pleasure pavilion and other structures were constructed in Kashmir which are now the major tourist attraction on Kashmir. During the winter season, adventure enthusiast flock to Gulmarg to enjoy snow sports like skiing and Gondola ride. The entire valley becomes shrouded with snow. Although threat in the valley is not eliminated, more and more tourists including travelers from overseas are arriving in Kashmir giving new hope to the valley both politically and economically. Last year Kashmir was visited by over 1 million tourists over 35,000 of them from foreign countries. Ladakh region in Kashmir also attracts high numbers of foreign tourists every year. Like other thriving tourist places in India, development is fast catching up in Kashmir. Many premium hospitality brands have opened up their properties in valley which include the first 5 star hotel Vivanta by Taj. This hotel was opened up way back in 1957. The latest 5 star hotel in Kashmir is the 85 room Khyber Himalayan Resort & Spa in Gulmarg. Accommodations of all types are easily available in the valley with British-styled houseboats moored by the Dal Lake in Srinagar attracting chunk of them. 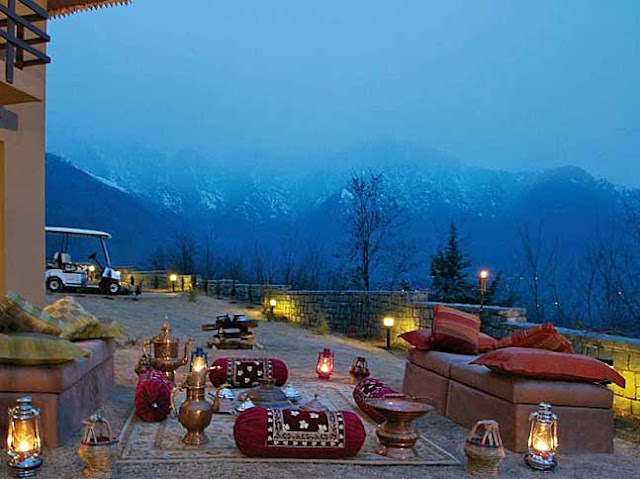 Vivanta by Taj Dal View is all Elegance and Class offering sweeping view of the valley and Dal Lake. 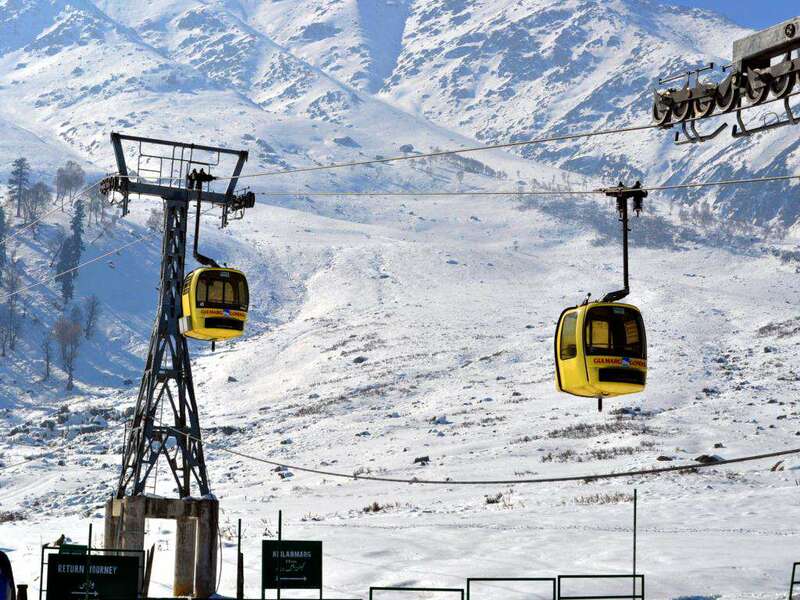 Today, Kashmir may mostly attract the adventurous type tourists and the young generation of Indian travelers as well as bulk of pilgrims who travel to Amarnath Cave. The easing of travel advisory by the British and German government has come as a boost for Kashmir. It is hoped by the local tourism authorities that more European countries will follow suit. Looking at recent trends of both foreign and it won’t be an overstatement to say that it’s high time that tourist returned to Kashmir to get a first hand glimpse of “Paradise on Earth”.